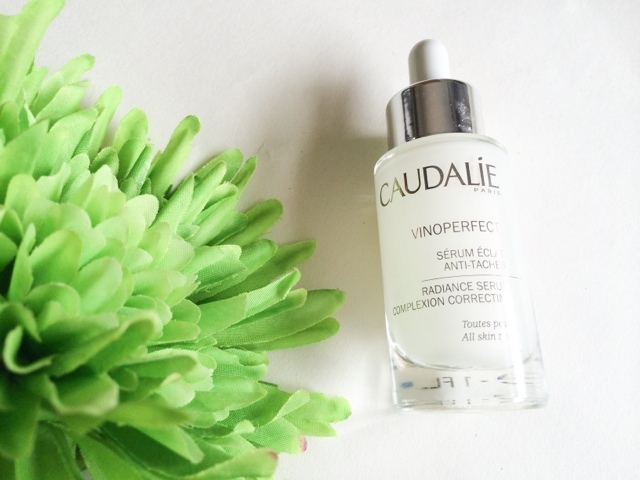 For the past 8 weeks I have been trying out Caudalie's Vinoperfect, a serum that brightens and evens out skin tone by correcting dark spots caused by acne and sun damage. If you've ever had the pleasure of receiving a visit from the spot fairy you'll know that not only are they painful and unsightly when the first arrive, but some can take it that step further and continue to hang around in the form of scarring and discolouration. I've had the pleasure of this and to say it's annoying is an understatement!! I was given the chance to try a product from the Farmaline website and giving my annoyance with old scarring I wanted to try something that would help diminish them. I've never tried anything from Caudalie before so I was excited to see what the well known and highly raved about brand could offer me. Vinoperfect is a water based milky serum and possibly one of most light weight ones I've ever tried. It sinks into the skin within seconds leaving no tacky or sticky residue - almost like putting water onto the skin. I've been using this morning and night by pressing it onto my skin just after toning and before moisturising. As the serum sinks in almost instantly I can apply the remanding of my products straight after which is perfect for me as I can be rather impatient at times and hate having to hang around waiting for products to be absorbed. The serum also offers instant hydration due to one of its ingredients - Olive Squalane which "improves elasticity, reduces signs of ageing and boosts cell regeneration". The formula is oil free, non photo sensitive and suitable for all skin types. Bottom - Results after 8 weeks use. 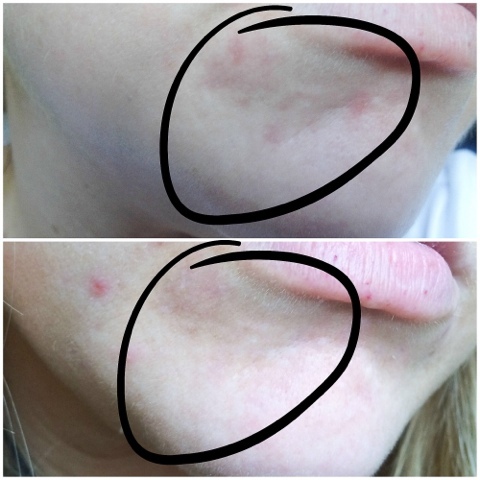 If you look at the pictures above you can see the redness and discolouration has faded making the scars appear less visible and the skin more even. As well as lightening any discolouration I had from breakouts it also offered a brightening effect to the rest of my skin, it looked healthier and more youthful, the redness was less obvious and the skin has a more even appearance. As with most skincare products that are designed to even out and correct dark spots the results don't happen overnight. It's takes time for the ingredients to work especially if the scars/dark spots have been present for months or even years! I'm pleased with the results that were achieved but of cause the marks haven't gone completely but I think a few more weeks of using this along with my Alpha H Liquid Gold and high SPF I should be well on the way to saying goodbye to them for good! The product has really helped me fade some unwanted marks and its done so in a non abrasive manner. I have always thought that the only way to get rid of them was to exfoliate and remove the discoloured skin cells by using acids and chemical peels. These aren't always possible for some people and do have side effects like sensitivity and tingling that some may find too harsh for their skin. This feels so gentle and almost like its not doing anything at all, until that is you look back and see the visible difference its made. If you have dark spots and marks that you want rid of and are worried about using acids and chemical exfoliators I can recommend giving this a try! 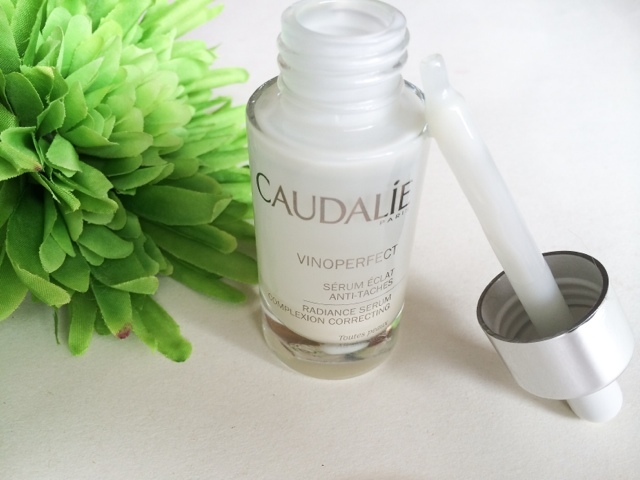 Have you tried Caudalie Vinoperfect before? What products do you use to help correct dark spots and scarring? Wow what an amazing difference! I am a big Caudalie fan, their Premier Cru range is to die for! I may save up for this as my skin is really uneven at the moment.